Alberti G, Boscutti F, Pirotti F, Bertacco C, De Simon G, Sigura M, Cazorzi F, Bonfanti P (2013). A LiDAR-based approach for a multi-purpose characterization of Alpine forests: an Italian case study. iForest 6: 156-168. Several studies have verified the suitability of LiDAR for the estimation of forest metrics over large areas. In the present study we used LiDAR as support for the characterization of structure, volume, biomass and naturalistic value in mixed-coniferous forests of the Alpine region. Stem density, height and structure in the test plots were derived using a mathematical morphology function applied directly on the LiDAR point cloud. From these data, digital maps describing the horizontal and vertical forest structure were derived. Volume and biomass were then computed using regression models. A strong agreement (accuracy of the map = 97%, Kappa Cohen = 94%) between LiDAR land cover map (i.e., bare soil, forest, shrubs) and ground data was found, while a moderate agreement between coniferous/broadleaf map derived from LiDAR data and ground surveys was detected (accuracy = 73%, Kappa Cohen = 60%). An analysis of the forest structure map derived from LiDAR data revealed a prevalence of even-age stands (66%) in comparison to the multilayered and uneven-aged forests (20%). In particular, the even-age stands, whether adult or mature, were overwhelming (33%). A moderate agreement was then detected between this map and ground data (accuracy = 68%, Kappa Cohen = 58%). Moreover, strong correlations between LiDAR-estimated and ground-measured volume and aboveground carbon stocks were detected. Related observations also showed that stem density can be rightly estimated for adult and mature forests, but not for younger categories, because of the low LiDAR posting density (2.8 points m-2). Regarding environmental issues, this study allowed us to discriminate the different contribution of LiDAR-derived forest structure to biodiversity and ecological stability. In fact, a significant difference in floristic diversity indexes (species richness - R, Shannon index - H’) was found among structural classes, particularly between pole wood (R=15 and H’=2.8; P <0.01) and multilayer forest (R=31 and H’=3.4) or thicket (R=28 and H’=3.4) where both indexes reached their maximum values. Dalla dendrometria diametrica alla dendrometria ipsometrica: stima del volume degli alberi da rilievi laser-scanning. Forest@ 4: 373-385. Indagine preliminare sullo stock di carbonio nelle foreste del Veneto. Regione Veneto. Comparison of two plant functional approaches to evaluate natural restoration along an old-field - deciduous forest chronosequence. Journal of Vegetation Science 20 (2): 185-198. LAI determination in forestry ecosystem by LiDAR data analysis. In: Proceeding of the “Workshop in 3D Remote Sensing in Forestry”. Vienna (Austria= 14-15 February 2006. Improving the morphological analysis for tree extraction: a dynamic approach to lidar data. In: Proceedings of the “ISPRS Workshop on Laser Scanning 2007”. Espoo (Finland) September 12-14, 2007. Curvature analysis of lidar data for single tree species classification in alpine latitude forests. In: “Laser scanning 2009, IAPRS” (Bretar F, Pierrot-Deseilligny M, Vosselman G eds). Vol. XXXVIII, Part 3/W8 - 1-2 September 2009, Paris, France. LiDAR as a rapid tool to predict forest habitat types in Natura 2000 networks. Biodiversity and Conservation 20: 465-481. The inventory of carbon stock in New Zealand’s post-1989 planted forest for reporting under the Kyoto protocol. Forest Ecology and Management 262: 1119-1130. The intermediate disturbance hypothesis applies to tropical forests, but disturbance contributes little to tree diversity. Ecology letters 12: 798-805. Pflanzensoziologie - Grundzuge der Vegetationkunde. Springer, Wien, Austria and New York, USA. Delineation of secondary succession mechanisms for tropical dry forests using LiDAR. Remote Sensing of Environment 115: 2217-2231. Estimating timber volume by means of “low cost” LiDAR data. Italian Journal of Remote Sensing 44: 125-140. A coefficient of agreement for nominal scales. Educational and Psychological Measurement 20: 37-46. Salt-marsh characterization, zonation assessment and mapping through a dual-wavelength LiDAR. Remote Sensing of Environment 114: 520-530. Diversity in tropical rain forests and coral reefs. Science 199: 1302-1310. Estimating canopy structure of Douglas-fir forest stands from discrete-return LiDAR. Trees-Structure and function 21: 295-310. Advances in forest inventory for sustainable forest management and biodiversity monitoring. Kluwer, Dordrecht, Germany. Contribution of large scale forest inventories to biodiversity assessment and monitoring. Forest Ecology and Management 262: 2061-2069. Airbone laser scanning to support forest re source management under alpine, temperate and Mediterranean environments in Italy. European Journal of Remote Sensing 45: 27-37. La vegetazione forestale e la selvicoltura nella regione Friuli-Venezia Giulia. Regione Autonoma Friuli-Venezia Giulia, Direzione Regionale delle Foreste, Servizio della Selvicoltura. Direttive per i piano di gestione delle proprietà forestali nella regione Friuli Venezia Giulia. Direzione Regionale delle Foreste, Regione Autonoma Friuli Venezia Giulia, pp. 256. Influence of forest management on net ecosystem production across two different Italian chronosequences. European Journal of Forest Research 131 (5): 1297-1311. Estimation of tropical forest structural characteristics using large-footprint LiDAR. Remote Sensing of Environment 79: 305-319. Characterizing forest succession with lidar data: An evaluation for the Inland Northwest, USA. Remote Sensing of Environment 113 (5): 946-956. Ground flora communities in temperate oceanic plantation forests and the influence of silvicultural, geographic and edaphic factors. Forest Ecology and Management 255: 476-494. Estimating biomass carbon stocks for a Mediterranean forest in central Spain using LiDAR height and intensity data. Remote Sensing of Environment 114: 816-830. Prospects for quantifying structure, floristic composition and species richness of tropical forests. International Journal of Remote Sensing 25: 707-715. Forest management and plant species diversity in chestnut stands of three Mediterranean areas. In. “Forest diversity and management” (Hawksworth DL, Bull AT eds). Topics in Biodiversity and Conservation, Springer, The Netherlands, pp. 69-82. Competitive exclusion in herbaceous vegetation. Nature 242: 344-347. Computer and robot vision. Addison-Wesley, Longman Publishing Co. Inc., Boston, MA, USA. An ecological comparison between ancient and other forest plant species of Europe, and the implications for forest conservation. Biological Conservation 91: 9-22. Third assessment report. Climate change 2001. Cambridge University Press, Cambridge, UK. Introductory digital image processing: a remote sensing perspective. Prentice-Hall, Upper Saddle River, NJ, USA, pp. 318. LiDAR remote sensing for modeling gross primary production of deciduous forests. Remote Sensing of Environment 92: 158-172. The use of the angular transformation in biological assays. Journal of the American Statistical Association 42: 282-296. The measurement of observer agreement for categorical data. Biometrics 33: 159-174. Lidar remote sensing of the canopy structure and biophysical properties of Douglas-fir western hemlock forests. Remote Sensing of Environment 70: 339-361. Numerical ecology. Second english edition. Developments in Environmental Modelling 20, Elsevier Science BV, Amsterdam, The Netherlands, pp. 853. Increase of biodiversity in homogeneous Scots pine stands by an ecologically diversified management. Biodiversity and Conservation 7: 249-260. Estimation of timber volume and stem density based on scanning laser altimetry and expected tree size distribution functions. Remote Sensing of Environment 90: 319-330. Beitrag zur kenntniss der Gesellschaft Anemono Fagetum. Razprave 4, Razreda SAZU 30: 3-64. Conspectus of classes of European vegetation. Folia Geobotanica 32: 117-172. Determination of mean tree height of forest stands using airbone laser scanner data. Journal of Photogrammetry and Remote Sensing 52: 49-56. Practical large-scale forest stand inventory using small-footprint airborne scanning laser. Scandinavian Journal of Forest Research 19: 164-179. Estimation of above- and below-ground biomass across regions of the boreal forest zone using airborne laser. Remote Sensing of Environment 112: 3079-3090. Estimating forest biomass and volume using airborne laser data. Remote Sensing of Environment 24: 247-267. Estimation of tree heights and stand volume using an airborne lidar system. Remote Sensing of Environment 56: 1-7. Pflanzen-soziologische Exkursions-flora für Deutschland und angrenzende Gebiete. Ulmer, Stuttgart, Germany. Object-based semi-automatic approach for forest structure characterization using lidar data in heterogeneous Pinus sylvestris stands. Forest Ecology and Management 255: 3677-3685. Detecting and measuring individual trees using an airborne laserscanner. Photogrammetric Engineering & Remote Sensing 68(9): 925-932. Introduzione allo studio fitosociologico della pianura veneta orientale con particolare riguardo alla vegetazione litoranea. Arch. Bot. 29: 65-98. Flora d’Italia. Edagricole, Bologna, Italy, vol. 2, pp. 474-475. Assessing a template matching approach for tree height and position extraction from lidar-derived canopy height models of Pinus pinaster stands. Forests 1: 194-208. Selvicoltura generale. UTET, Torino, Italia, pp. 421. Boschi di forra, faggete e abieteti in Friuli (NE Italia). Studia Geobotanica 13: 215-298. Vascular flora of Friuli-Venezia Giulia. An annotated catalogue and synonimic index. Studia Geobotanica 21: 3-227. Estimating plot-level tree heights with lidar: local filtering with a canopy-height based variable window size. Computers and Electronics in Agriculture 37: 71-95. Seeing the trees in the forest: using lidar and multispectral data fusion with local filtering and variable window size for estimating tree height. Photogrammetric Engineering & Remote Sensing 70 (5): 589-604. Using laser altimetry-based segmentation to refine automated tree identification in managed forests of the Black Hills, South Dakota. Photogrammetric Engineering & Remote Sensing 72 (12): 1379-1388. Benchmark map of forest carbon stocks in tropical regions across three continents. Proceedings of the National Academy of Sciences USA 108: 9899-9904. Image analysis and mathematical morphology. Vol I. Image Processing. Academic Press, London, UK, pp. 610. Image analysis and mathematical morphology. Vol II. Theoretical Advances. Academic Press, London, UK, pp. 610. The mathematical theory of communication. University of Illinois Press, Urbana, USA. Using airborne laser scanner data and CIR orthophotos to estimate the stem volume of forest stands. Photogrammetrie Fernerkundung Geoinformation 3: 277-287. Enhancement of bioenergy estimations within forests using airborne laser scanning and multispectral line scanner data. Biomass and Bioenergy 35: 3561-3574. Canonical correspondence analysis: a new eigenvector technique for multivariate direct gradient analysis in ecology. Ecology 67: 1167-1179. Canoco an extension of decorana to analyze species-environment relationships. Vegetatio 75: 159-160. Mapping and modeling forest tree volume using forest inventory and airborne laser scanning. European Journal of Forest Research 130: 569-577. Fusion of airborne LiDAR and satellite multispectral data for the estimation of timber volume in the Southern Alps. Remote Sensing of Environment 115: 2486-2498. Quantifying australian forest floristics and structure using small footprint LiDAR and large scale aerial photography. Forest Ecology and Management 223: 379-394. Retrieval of forest structural parameters using LiDAR remote sensing. European Journal of Forest Research 129: 749-770. Mapping of aggregated floodplain plant communities using image fusion of CASI and LiDAR data. International Journal of Applied Earth Observation and Geoinformation 11: 83-94. 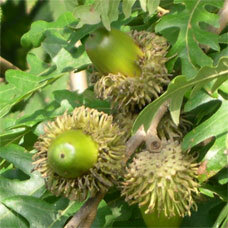 The effect of canopy disturbance on species richness in a central Himalayan oak forest. Plant Ecology 132: 29-38. Lidar: shedding new light on habitat characterization and modelling. Frontiers in Ecology and The Environment 6: 90-98. The Braun-Blanquet approach. In: “Classification of plant communities” (Whittaker RH ed). Junk, The Hague, The Netherlands, pp. 287-297. Estimating the global potential of forest and agroforest management practices to sequester carbon. Water, Air and Soil Pollution 64: 213-228. Numerical Ecology with R. Springer, New York, USA, pp. 306.